While Rit dye is not the best choice for most fabrics, it does work pretty well on nylon, including nylon bristles. Jacquard Acid Dyes are concentrated, powdered, hot water dyes that produce the most vibrant possible results on protein fibers including silk, wool, cashmere, alpaca, feathers, and most nylons. 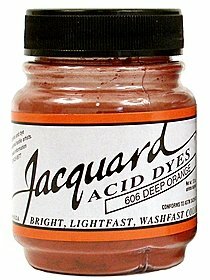 Jacquard Acid Dyes are extremely brilliant and colorfast. Message: I have a black bristle fingernail brush. The bristles are beginning to come out. They are easy to spot in the sink or shower and pick up so they don't go down the drain. How can I dye a white or clear bristle brush to be able to spot them so they don't go down the drain? I will appreciate any suggestions you may have to solve this. Some acid dyes will last longer in the nylon than others. The acid dye in a Rit All-Purpose dye mixture will work on nylon (the cotton dye also contained in Rit dye will do nothing to nylon), though it will tend to wash out more quickly than other types of acid dye. It's worth trying, because it will probably last well enough for your purpose, and then, if it washes out too quickly, you could look for a longer-lasting dye to try again. 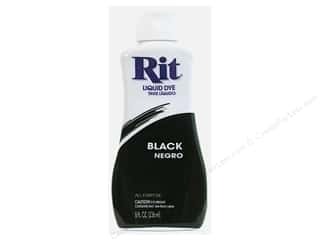 Rit all-purpose dye can usually be found in a local grocery store or craft or sewing store. As always with Rit all-purpose dye, the color you get may be rather different from the color predicted on the outside of the box, perhaps a dark green or purple, when you expect to get black. If Rit all-purpose dye does not color a fingernail brush's bristles, even temporarily, that would be a sign that the bristles are made of an undyeable polymer. A few fingernail brushes are made with polypropylene bristles, which cannot be dyed at all; colored polypropylene has pigment added in the manufacturing process, while the polymer is still liquid. Assuming that your bristles are made of nylon, my one concern is how the bristles are held in the brush. I don't know how this is done. If they are held in with a heat-sensitive adhesive--that is, hot glue--then bristles will fall out when you heat the brush, in your mixture of water, dye, and vinegar. If they are held in another way, then there will be no problem. The nylon itself should tolerate temperatures up to a 205°F simmer, just under boiling temperature. Do not bring the dyebath to a full boil, for fear of damaging the nylon. Here's a link to a PDF page with instructions for dyeing with acid dyes: "Immersion Dyeing on Nylon using WashFast Acid Dyes"